Scientifically considered, does helping others, either informally or through volunteering, really have the side-effect of contributing to the happiness, well-being, health and resilience of those who are kind? In general yes, but are there exceptions and why? How do these benefits manifest in specific patient subgroups? Are we at a point where it makes sense to prescribe (Rx) or recommend helping others as a pathway to well-being? Dr. Post will present for a half hour a general humanistic and scientific model for the benefits of helping others, explore how helping can benefit individuals experiencing specific illnesses, and say a little about his formative encounter with the artist Rockwell as a young boy. Understand and appreciate the contributions of helping behaviors and attitudes to mental well-being, happiness, health, recovery, and longevity. Recognize the relation of helping others and volunteerism to resilience. Develop ideas about how to effectively implement the idea of “Rx: Good 2 B Good” in the lives of clients, patients, and others seeking enhanced well-being and wellness. Dr. Post is the Founding Director of the Center for Medical Humanities, Compassionate Care, and Bioethics at the Renaissance School Medicine. He is the author of over 300 articles in peer-reviewed journals including Science, the New England Journal of Medicine, Psychosomatic Medicine, Journal of the American Academy of Religion, and the Journal of the American Medical Association. An opinion leader and captivating public speaker, Stephen G. Post, Ph.D. is the best-selling author of Why Good Things Happen to Good People: How to Live a Longer, Happier, Healthier Life by the Simple Act of Giving (Random House Broadway Books). He has been quoted in more than 4000 national and international newspapers and magazines, including Parade Magazine, “O” Magazine,” and The US News & World Report, and has been featured on numerous television shows including The Daily Show. Post has inspired thousands with great stories and the best of medical knowledge on how helping others is good for our happiness, health, and resiliency as givers. Described by Martin E.P. Seligman in his book Flourish as one of “the stars of positive psychology,” Post is world renowned for proving that in general it really is good to be good, for addressing the ways in which empathy and kindness improve patient outcomes as well as clinician well-being, and for his research on spirituality and health. Post addressed the U.S. Congress on volunteerism and public health, and received the Congressional Certificate of Special Recognition for Outstanding Achievement in the area. He received the Paper of the Year Award from the editors of The American Journal of Health Promotion for his paper “Rx: It’s Good to be Good (G2BG).” Post received the Pioneer Medal for Outstanding Leadership in HealthCare from the HealthCare Chaplaincy Network, the Kama Book Award in Medical Humanities from World Literacy Canada, and the “top notch” public speaking award from the Ohio Endowment for the Humanities. Post has taught at the University of Chicago Medical School, Case Western Reserve University School of Medicine (1988-2008), and the Renaissance School of Medicine at Stony Brook University (2008-), where he is Founding Director of the Center for Medical Humanities, Compassionate Care, and Bioethics. He is an elected member of the College of Physicians of Philadelphia, the New York Academy of Medicine, and the Royal Society of Medicine, London. 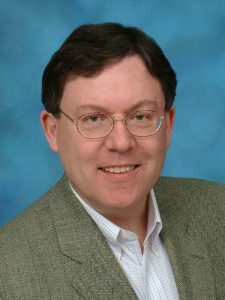 He is the author of over 300 articles in peer-reviewed journals including Science, the New England Journal of Medicine, Psychosomatic Medicine, Journal of the American Academy of Religion, and the Journal of the American Medical Association.